Get your pencils ready and explore Glasgow’s marvellous medicine! We’ve teamed up with the Scottish Book Trust and their Live Literature programme to host a fun, family workshop of comic creation with writer and illustrator, Adam Murphy. 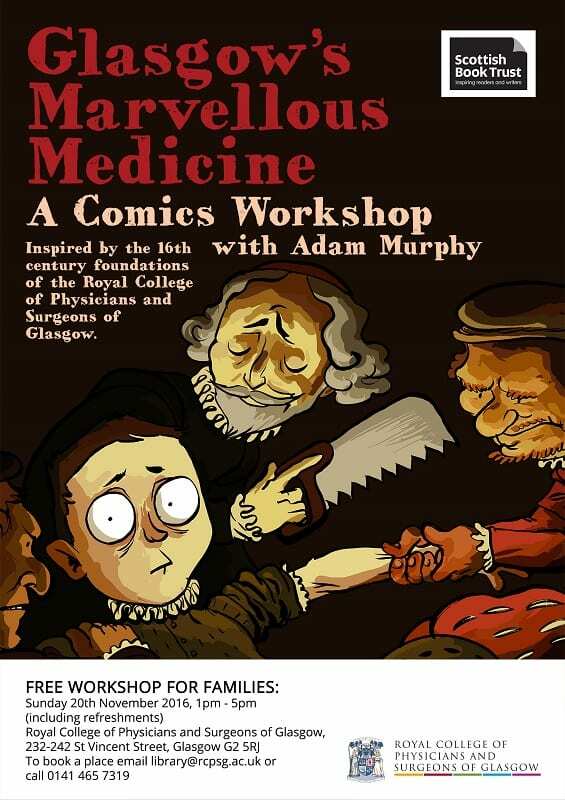 Taking his inspiration from the 16th century foundations of the Royal College of Physicians and Surgeons of Glasgow, Adam will be creating a short comic telling the marvellous, if sometimes gruesome, story of medicine and surgery in Glasgow at that time. It will then be the turn of the group to try their hand at creating their own comic masterpiece with Adam on hand to teach techniques in drawing and storytelling. A perfect afternoon for all budding illustrators and comic fans! The workshop is free to attend and is suitable for ages 8+ (children must be accompanied by an adult). Refreshments will be available. 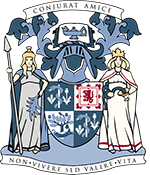 Please book your place by emailing library@rcpsg.ac.uk or calling 0141 221 6072. Adam Murphy is a Glasgow-based comic writer and illustrator who has been creating comics full-time since 2011. He is the creator of ‘CorpseTalk,’ a comic which digs up famous people from history and interviews their reanimated zombie corpses! CorpseTalk has been collected as two books (CorpseTalk: Season 1 was nominated for the Blue Peter Book Awards 2014 and the BCA Young People’s Comic Award 2014), and is regularly featured in The Phoenix Children’s Comics Magazine. Adam also writes and draws ‘Lost Tales’ in which he re-interprets unusual or lesser-known folktales from around the world. Thank you very much for this. My daughter loved it – she really enjoyed the advice from Adam on drawing comic strips and also learning about all the medical instruments and medicines and using them in her own comic strip. We loved the names of the medicines – syrup of squid, turkey rhubarb, syrup of wine, vitriol etc. A great afternoon – Thanks!! Glad yu enjoyed our comics workshop. We really loved seeing everyone’s comic creations!